I have always loved those moments in life when you find yourself in a time and place that you never in a million years would have imagined. Right now is one of those moments. As I sit on the vast, green lawn, overlooking the lake at Kripalu Center for Yoga & Health, in the beautiful Berkshire Mountains of Western Massachusetts, I am pondering, in amazement, the many dots that had to connect to lead to this moment in time. It all started in Boston, just about one year ago, when my mother’s boyfriend handed me the Kripalu catalog, knowing that I am an avid practitioner of yoga. Greatly appreciative of his thoughtfulness, I happily took it home with me to San Francisco. After thoroughly browsing through (and drooling over) its offerings, it took up a permanent residence on my coffee table. Fast forward a few months: In the midst of a job search, I took to my regular practice of meditation, hoping to get clarity on my direction. 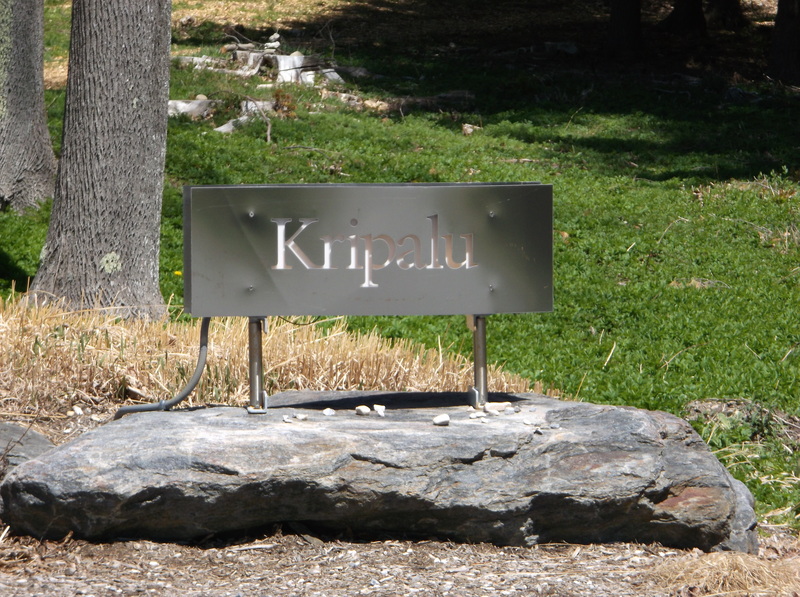 During what would be one of those rare (but fortuitous) occasions when an insight pops into my awareness, the name “Kripalu” appeared in the forefront of my mind. If there is one thing I’ve learned through my meditation, it’s that when these random “messages” occur, I need to pay attention. I immediately halted my meditation and pulled out my laptop. 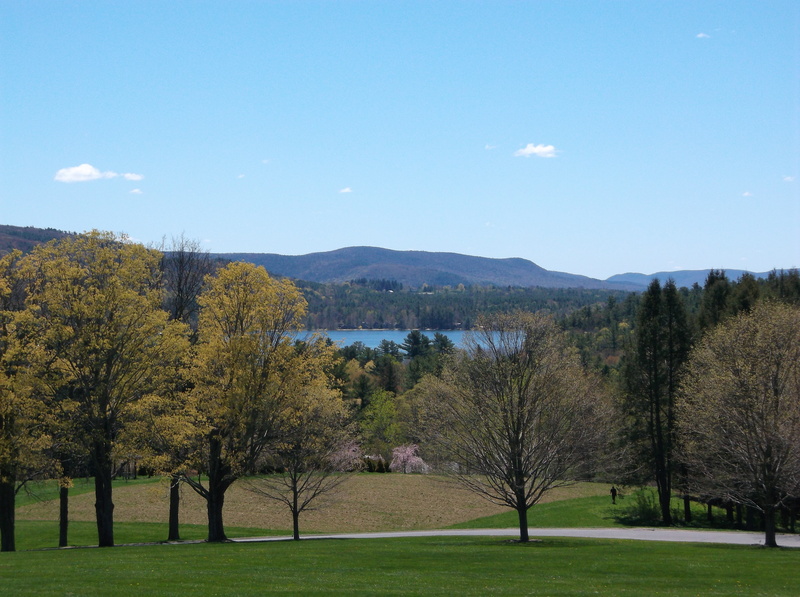 I navigated straight to the Kripalu website, where I found a job listing that greatly interested me… this despite my deep down feeling that I really had no desire to move back east, nor to return to the harsh cold of winter. Listening to my rational mind, I applied for the job anyway. Forever being a master networker, I reached out to my network to see who might have a connection for me at Kripalu. As it turned out, a fellow writing friend of mine happened to be friends with one of the foremost yogic scholars, a well-known author and senior teacher at Kripalu. My friend very graciously passed my resume on to this connection. But as fate would have it, the Universe had other plans in store for me. I did not get that job at Kripalu, and I eventually realized that I do belong right where I am, in San Francisco. But this connection did bear other fruits for me, as I ended up working as a consultant to this well-known yoga author and teacher. Having the great privilege of working with this man, as I learned more about him and read his books, I recognized that this was a person I wanted to know better, and whose great work I wanted to follow and support. And so here I find myself, breathing in the fresh and fragrant spring air of the Berkshires, having very excitedly journeyed from San Francisco to the wilds of Western Massachusetts, to attend this teacher’s workshop on cultivating the practice of Loving Kindness (Metta). As part of our meditation practice for the weekend, and in order to take advantage of the spectacular spring weather, he spontaneously changed the day’s agenda and sent us out to the great lawn for some walking meditation- something I did not particularly enjoy doing just a few weeks ago, back home in California. But here, in the brilliant sunshine of Massachusetts’ spring, my feet found themselves unexpectedly in paradise as I slipped off my flip-flops and stepped into the thick, lush grass, warmed by the sun. As I walked amongst the field of dandelions, each blade of grass playfully tickling my toes, I was struck by the fact that I cannot often (if ever) do this in San Francisco. In our cool San Francisco climate, it is the exception, rather than the rule, that we get weather that is warm enough for sandals. And even the few wonderful times when it is warm enough (believe me, there is much rejoicing! ), the climate of our “Fog City” very often leaves the grass wet and cold- not exactly an inviting environment for your cold little piggies! In that very moment, as my toes sank into the soft, warm grass, it occurred to me that I haven’t walked barefoot in the grass for years! I was immediately struck by how much people take for granted this simple pleasure. And in that instant, I paused and held such gratitude for my toes being able to experience this heaven beneath my feet. And at the very same time, I was grateful for my life in San Francisco affording me the opportunity for this moment of perspective and profound appreciation. I continued to move my feet slowly, tuning in closely to the focal points of walking meditation: placing the foot, rolling the foot, lifting the foot, rinse and repeat, all the while being acutely aware of the feeling of my feet touching the Earth. As I did so, the sounds and smells of spring came into my awareness: the freshly cut grass, the bees buzzing around my feet, the soft breeze on my ears… and then there it was- the bird off in the distance singing his “see-saw” song, something that I then realized is an iconically New England sound. We don’t hear that particular bird, with that unique song, in California. Once again I delighted in gratitude for the wonder of Mother Nature and all her diversity. As I absorbed the see-saw song, I was immediately transported back to the childhood swing-set, swinging by the school yard. That bird, and that song, represent the sounds of my childhood. And then I was flooded with the countless childhood memories of running barefoot through the grass: backyard barbeques, graduation parties, badminton matches, pool parties, camping in my grandparents’ back yard, summer concerts on the common- of all the moments when we unconsciously allowed ourselves to run barefoot in the warm grass, never thinking that there was anything particularly special about it. 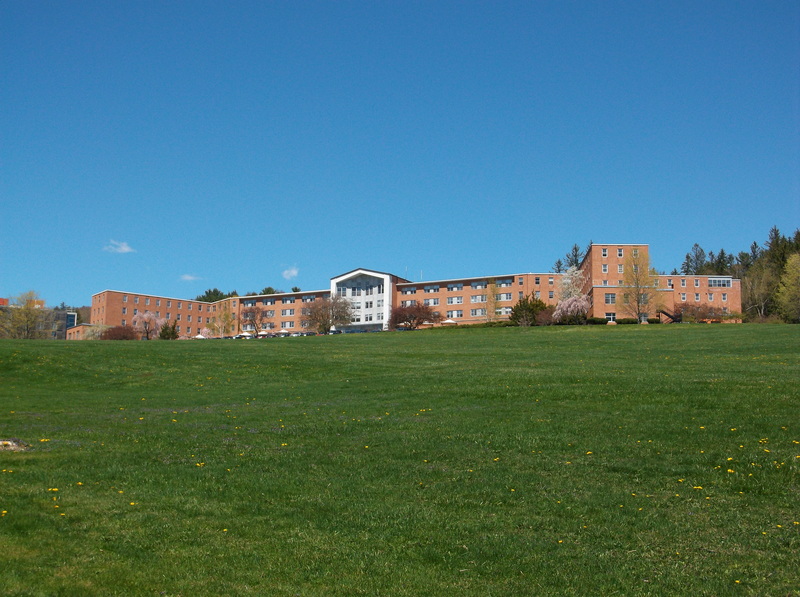 And in this very special moment in time, here on the great lawn of Kripalu, during this very unexpected trip, I realized that never again would I take that simple pleasure for granted….and never again would I forget that feeling of heaven beneath my feet.